The largest aperture of the CPC GPS line, The CPC 1100 GPS Schmidt-Cassegrain telescope has the most light gathering power and has a limiting magnitude of nearly 15. The CPC 1100 GPS takes full advantage of its vast database of thousands of NGC and Abell galaxies as well as delivering a new level of detail to all your favorite deep sky objects. This CPC 1100 GPS features Celestron's premium StarBright XLT coatings. With sophisticated software features like Hibernate function, the CPC can maintain its star alignment night after night without needing to be re-aligned, making it an ideal instrument for a permanent observatory facility. 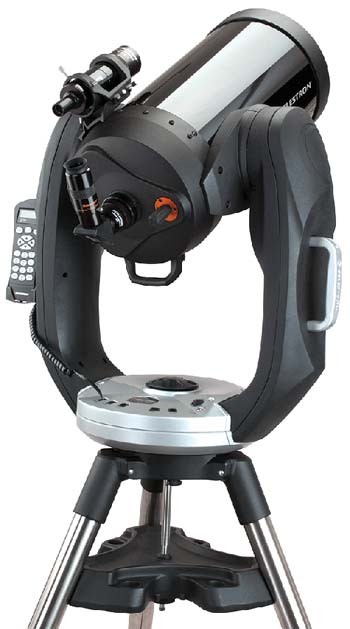 The CPC GPS is the most portable of Celestron's top-of-the-line fork-mounted astronomical telescopes. 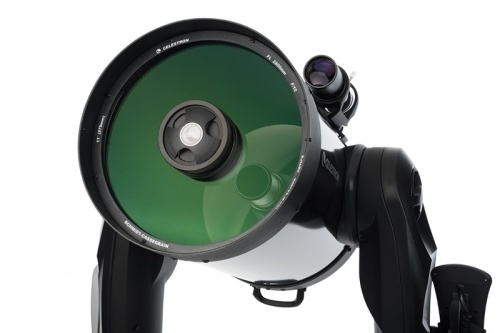 This telescope is at home as a superb visual instrument or, with optional wedge and CCD cameras, as a serious astrophotographer's tool. Although large in aperture, with its conveniently located carrying handles and an instrument weight of 65 lb., this telescope is portable enough to setup in your backyard or take with you to your favorite dark sky location. 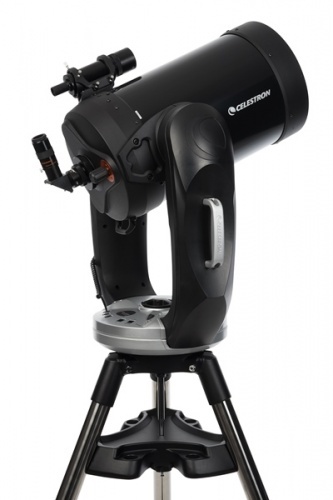 Celestron's new CPC Series with revolutionary SkyAlign Alignment Technology re-defines everything that amateur astronomers are looking for � quick and simple alignment, GPS, unsurpassed optical quality, ease of set-up and use, ergonomics, enhanced computerization and, most important, affordability.